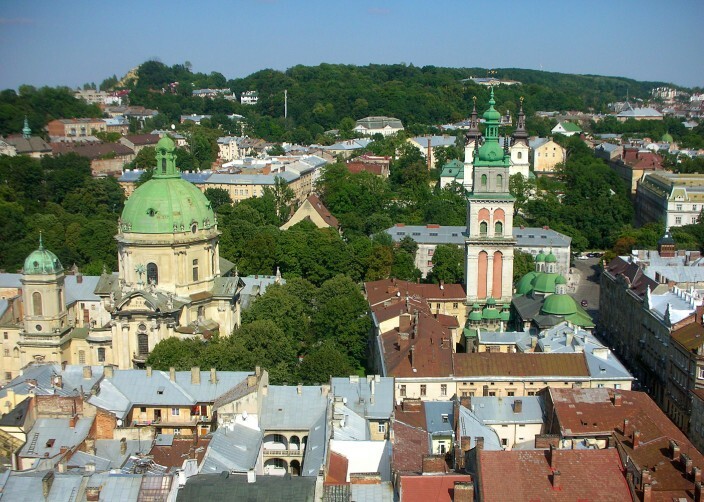 L’viv is by far the largest city in western Ukraine, boasting a population of 730,000 and is located about 70 kilometers (40+ miles) from the border of Poland. 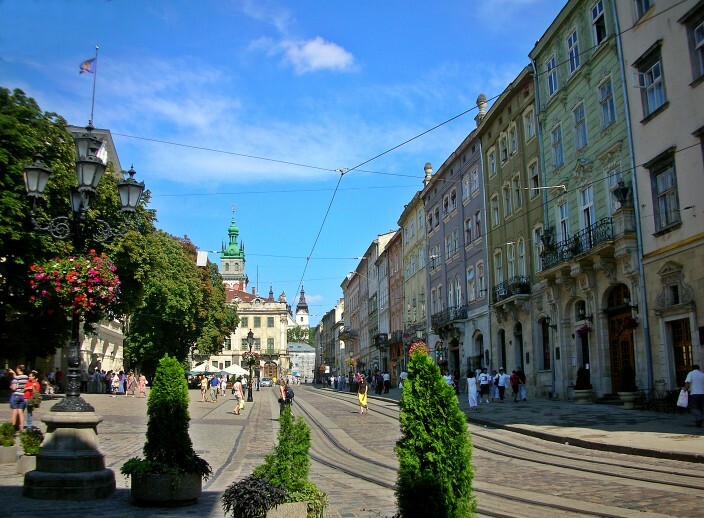 You can call it L’viv (the Ukrainian transliteration) or L’vov (the Russian) or Lwow (Polish) or Lemberg (German) but whichever way you say it, it’s all the same place. 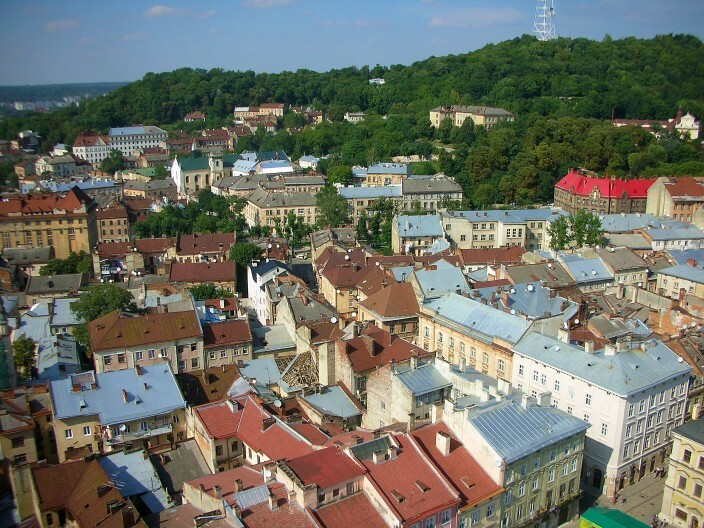 L’viv serves as the capital of the L’vivs’ka Oblast and also as a sort of unofficial capital of the entire western region of Ukraine, which is a distinctly different part of the country in nearly every significant way. Politically, the west of Ukraine is more closely allied and desires closer ties to Europe, as opposed to gravitating back into the Russian orbit. 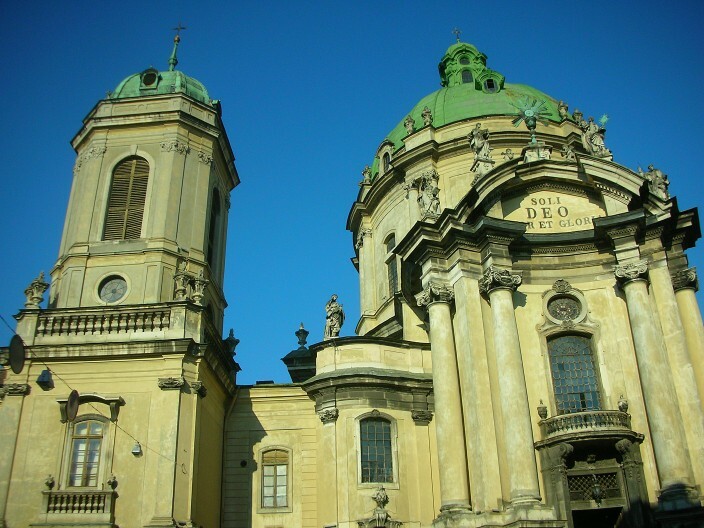 In religious terms, you will find a major portion of the country’s Roman Catholics residing in this region (a legacy of the Polish proximity and influence) although the Russian Orthodox Church still predominates. Economically, agriculture rules in western Ukraine. In small villages you will find some people – though not all – farming the land much as they did in centuries past, tending hand-tilled fields with horse-drawn carts and plows and living a very simple life. In geographic terms, much of the west is flat or covered by rolling hills like the rest of Ukraine. The primary difference is found in the southwestern corner which is dominated by the Carpathians, the country’s only mountain range other than the Crimean mountains at the southern tip of Crimea. The vast majority of people in western Ukraine speak Ukrainian, not Russian, and make it a point of pride to do so. I remember an illustration of this when my wife and I were visiting a sanitorium in the Carpathian mountains. We were signing up for a day-trip excursion when a heated exchange began between two men. 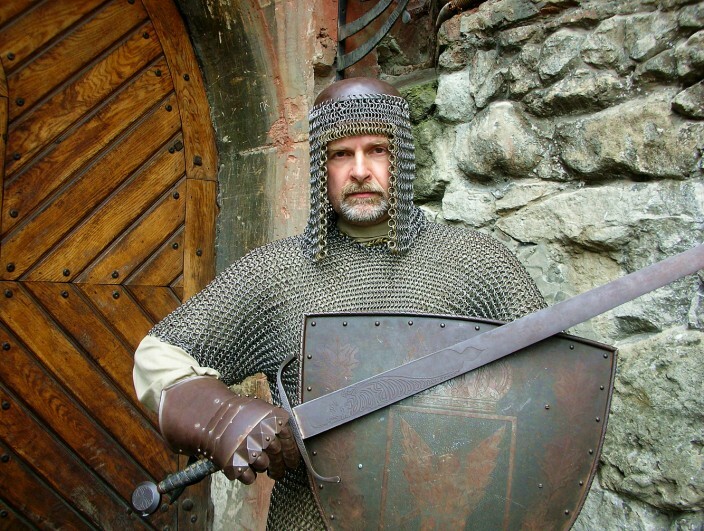 One of them was the tour guide director, a white-haired gentleman who lit into the other, younger man with about a two minute verbal fusilade. Naturally I didn’t understand a word of it, but the hostility was palpable. Later, my wife translated for me. Well, the tour guy took great exception to this and ripped him a new one, essentially saying, “I am Ukrainian and I speak my language in my country and if you don’t like it you can go blank yourself!” I’m paraphrasing here. I’m certain his reply was both more eloquent and more profane than that, but I appreciated his point. It also made me fearful of saying the wrong thing in my very limited mishmash of Russian/Ukrainian words and phrases, as it all sounds alike to me and I can never be certain which language I’m speaking. But my wife assured me this would be an entirely different matter. When an obvious foreign speaker (and it’s certainly obvious when I try) makes even the slightest attempt to mangle their language (and mangle it I do) they find it ingratiating and will appreciate and applaud your efforts, as opposed to this dolt who thought he could cow some older man into speaking Russian. Historically, western Ukraine has been sliced and diced and conquered and traded back and forth so many times over the centuries, it’s a wonder it has any identity at all. A perfect illustration of this is afforded by a story from the Soviet era. A historian comes to a small village and interviews some of the townsfolk. In talking to one very old man, the historian asks where he has lived during his life. “I’ve lived in Austria-Hungary, Poland, Ukraine, Russia, and now the Soviet Union,” the old man says. “It must be fascinating to have traveled so much and lived in so many different countries,” the historian replies. 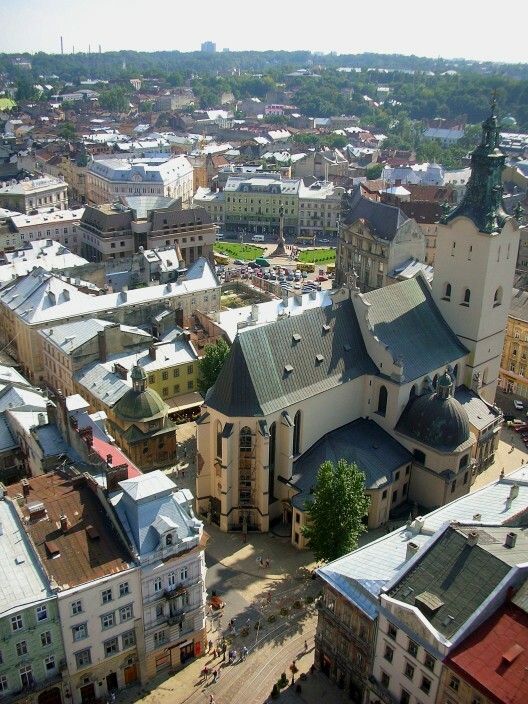 L’viv was founded in 1256 by King Danylo Halytskyi, who named the town for his son, Lev. 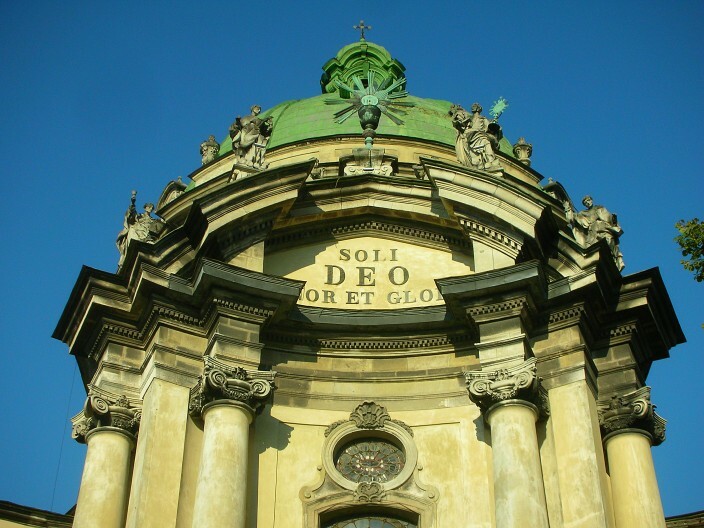 From 1349-1772 L’viv was part of the Kingdom of Poland, then belonged to the Austrian Habsburg Empire from 1772-1918, then reverted to the Poles – the Second Polish Republic – from 1918 to 1939. For the next few years L’viv was subjected to much travail and destruction as the Reds and the Nazis swatted this region back and forth like a tennis ball. In the end of course the Soviets prevailed and L’viv and western Ukraine became part of the Ukrainian Soviet Socialist Republic in the once more, yet again, newly redrawn map of Europe. 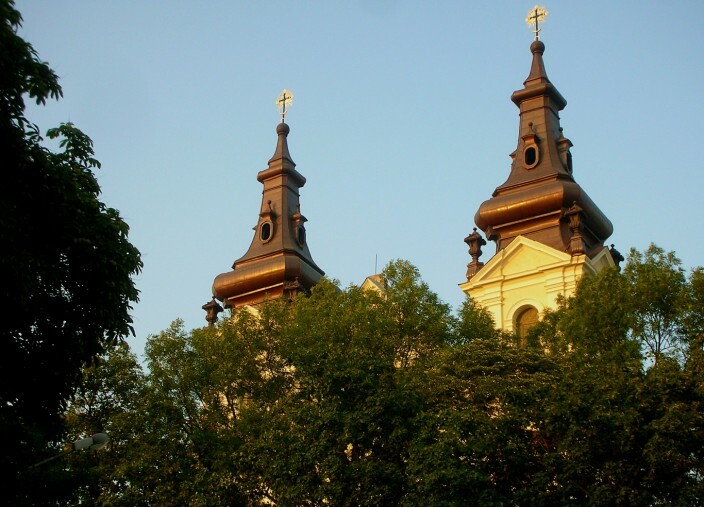 L’viv is also known as the city of cathedrals, and it doesn’t take a genius to see why. Just about anywhere you look you’ll see a bell tower or a dome gracing the skyline, and many of them are conveniently located right in the center of town or within easy walking distance. Most of them are open to the public for viewing, some free, some costing a nominal fee, and range from the ordinary to the spectacular both outside and inside. Elaborate and ornate carvings, sculptures, frescoes and stained glass abound, and you could easily spend a day just visiting the cathedrals. 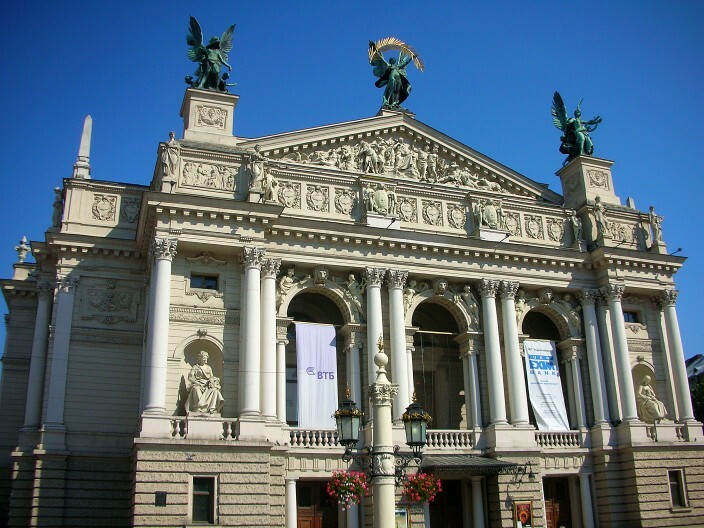 Another place not to miss, and also located right in the city center, is the fabulous L’viv Theatre of Opera and Ballet. 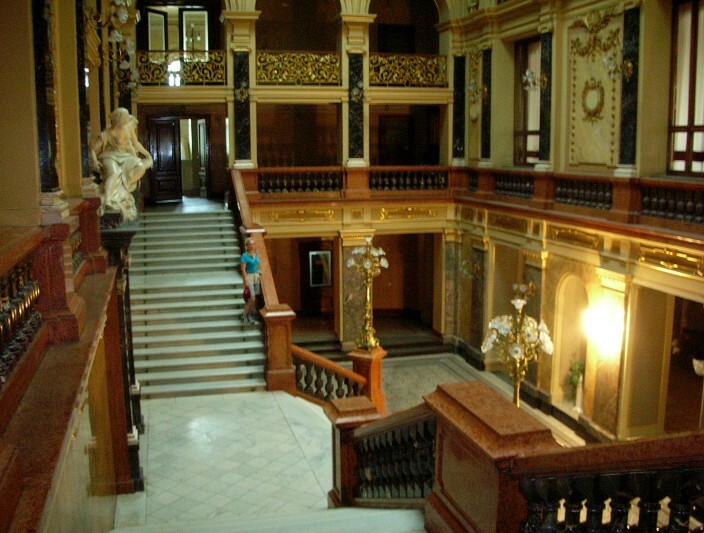 Constructed around 1900 in a Neo-Renaissance style, it is regarded as one of Europe’s finest and most beautiful, both inside and out. Unfortunately, when we visited a couple of years ago, the main auditorium was undergoing major renovation and the glory of its three-tiered balconies was difficult to view under the many layers of construction dust and debris. By now all this work is finished and is open to the public once again. 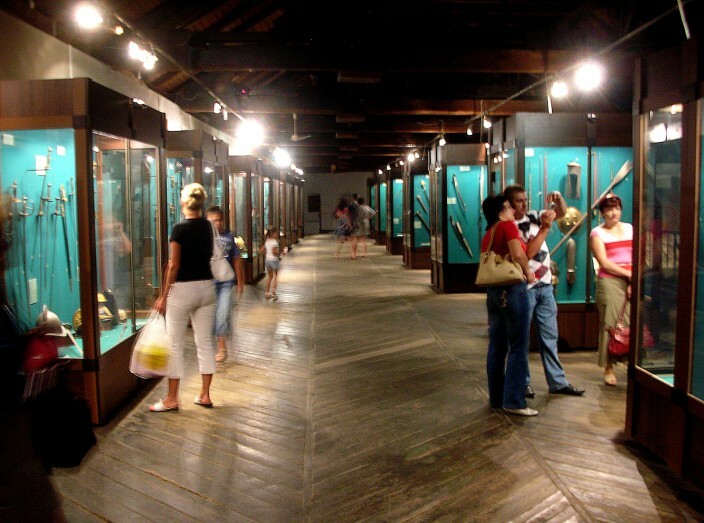 One of my favorite stops in L’viv, and a place I’d recommend to anyone with the slightest interest in medieval history and warfare, is the Arsenal Museum. 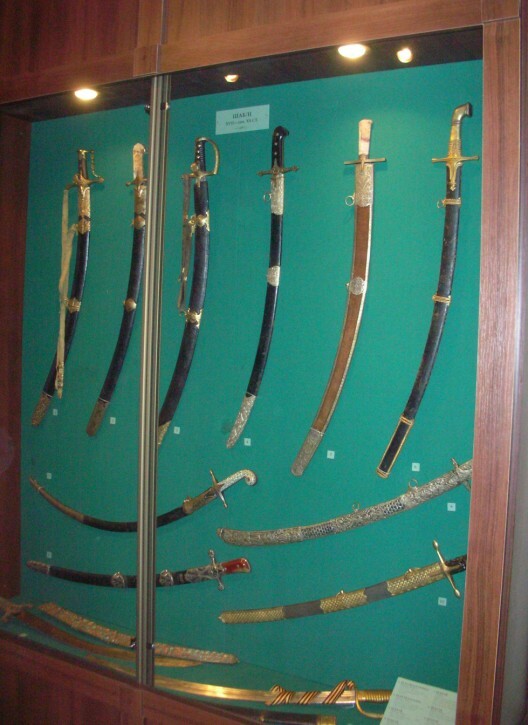 It boasts one of the largest collections of weaponry I’ve ever seen assembled under one roof, well displayed and labeled with great detail on place of origin and dates of usage. For a medieval junkie like me, this was pure heaven, and I could gladly have doubled the couple of hours we spent there. 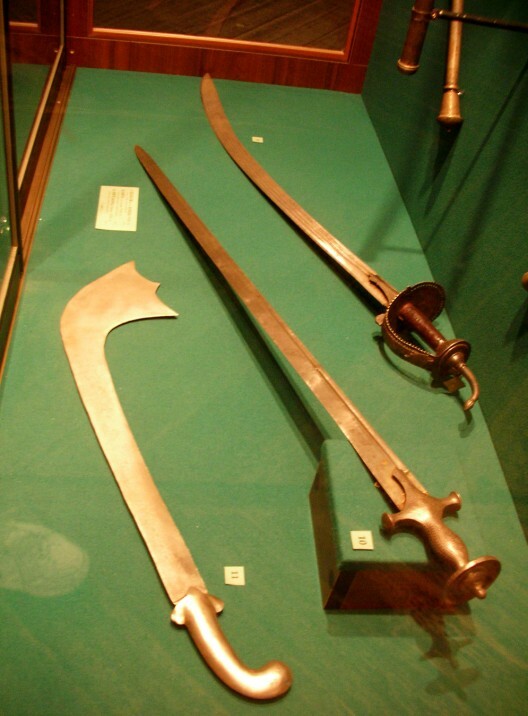 My only complaint, and a common one when it comes to museums, is being in such close proximity to all these fabulous artifacts without being able to touch them gets frustrating after a while, especially when I can almost feel that Cossack saber in my hand and hear it slicing through the air. On second thought, maybe it’s a good thing. I’d probably chop my fingers off, or worse, someone else’s. As in all Ukrainian cities, L’viv is well served by plentiful and cheap public transportation, but as always the trick is finding the right tram or mini-bus to get you where you’re going. The locals were friendly and helpful to us in this regard, although more than once there was some disagreement on which route would get us to our destination. 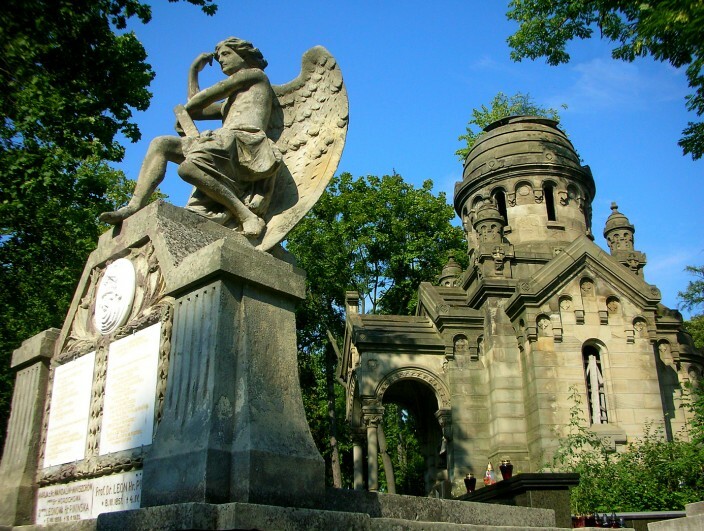 This was especially true when we wanted to visit the famous Lychakivskiy Cemetery, one of the main tourist attractions in the city, but eventually we found the right tram and made our way there. The idea of a cemetery being a tourist attraction might seem an odd thing, but after visiting Lychakivskiy I can understand. It’s actually several adjacent cemeteries melding into one another, Orthodox, Jewish, and Polish Catholic. This has sometimes been a bone of contention due to the prickly nature of Polish/Ukrainian relations, including warfare, over the centuries. 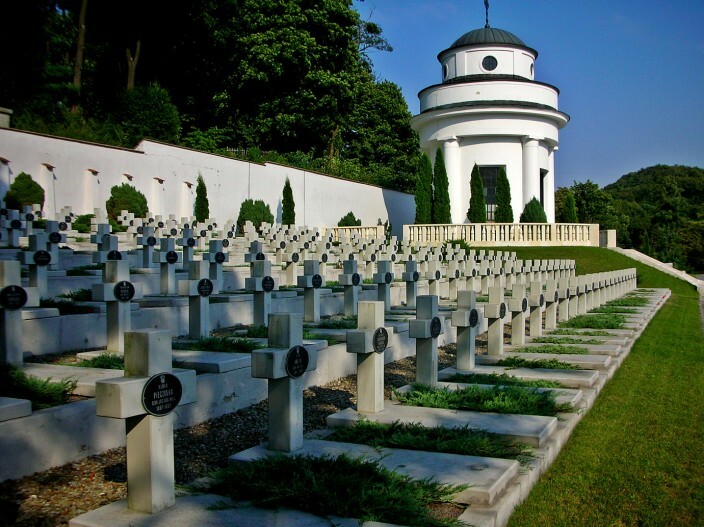 The Polish Cemetery here is actually a military Memorial dedicated to a group of teenaged Polish soldiers called the Young Eagles, who fought against Ukrainians back in 1918 as control of the city was contested. 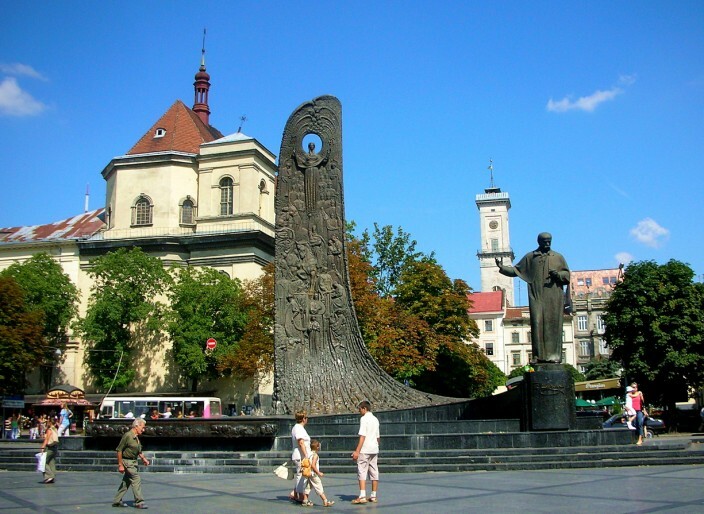 Controversy erupted in the 1990’s and early 2000’s when the Polish population wanted the memorial restored and the Ukrainian government opposed it. Work went ahead anyway, sometimes surreptitiously, and now the finished product, with its gleaming white dome chapel and white cross gravestones, stands in stark contrast to the other areas of the cemetery. 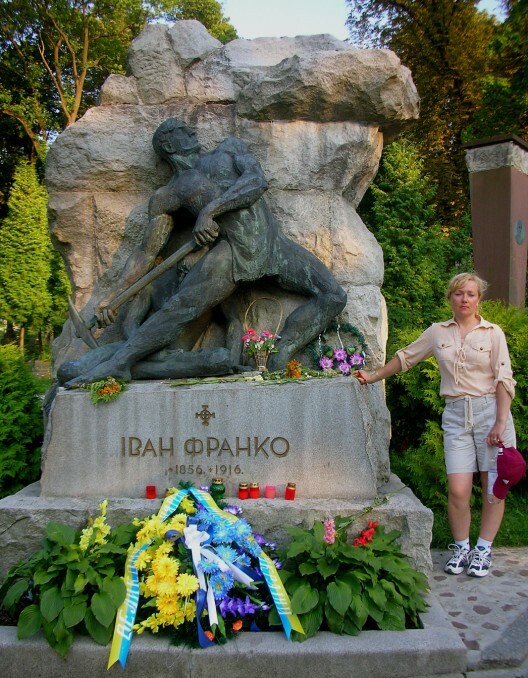 There are scads of famous Poles and Ukrainians buried throughout Lychakivskiy, though I’d never heard of any of them except one, the Ukrainian poet Ivan Franko. His resting spot is marked by a suitably grandiose monument, a huge slab of granite featuring a sculpted, muscular fellow wielding a sledgehammer. I hope this isn’t intended as a literary critique of the lack of subtlety in the man’s poetry. Probably not. Franko is one of the greatest and most revered heroes of Ukraine, famous not only for his writing but for his nationalistic fervor and political activism, literary criticism, journalism, philosophy and for being the first to translate many major writers into the Ukrainian language, including Shakespeare, Dante, Byron, Goethe, Schiller, Hugo and others. One of the first things you’ll notice on entering Lychakivskiy cemetery (or any cemetery in Ukraine) is the lack of short, meticulously groomed, putting-green-style grass in contrast to American cemeteries which, to me, all look like golf courses with tombstones instead of sand traps for obstacles. In fact, this is another of those societal differences you’ll notice wherever you look in Ukraine. Not only do their cemeteries not look life golf courses, I don’t recall seeing golf courses at all. I’m sure they have some, but not many. Also, people don’t have lawns. They think a yard full of cut grass is not only a waste of space, but a waste of time, money, and energy spent growing, cutting, and manicuring it. No one I know owns a lawn mower. They would rather put something productive in that space, like a flower garden, kitchen (vegetable) garden, and fruit trees, or maybe a chicken coop and some chickens, and that’s exactly what they do. You know, these are some smart people. I’ve always hated cutting the grass and felt it a waste of time. I can’t count how many times I’ve gone outside to do this miserable chore, muttering and cursing under my breath, then spent ten minutes yanking my arm out of the socket trying to start the damn mower, then traipsed behind it for an hour thinking of all the other things I’d rather be doing, such as anything else in the universe. 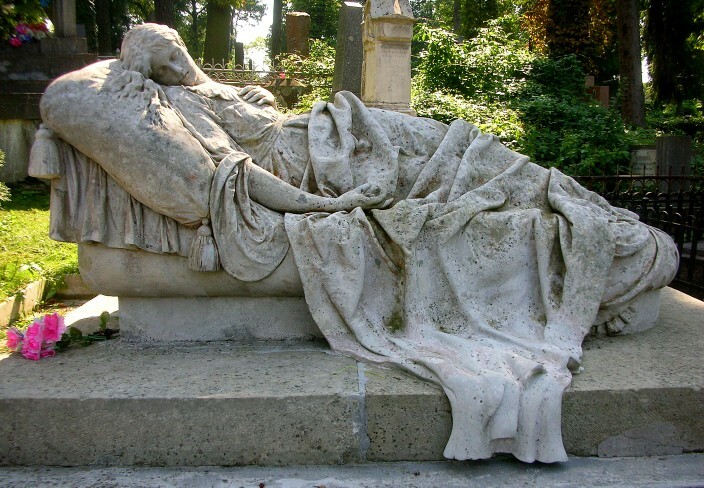 Okay, now with that out of my system, back to Lychakivskiy Cemetery in L’viv. It’s the largest cemetery I’ve ever been in, a huge place sprawling over several hills, with scores of mausoleums, tons of impressive gravestones and grand sculptures and an absolute labyrinth of avenues sprouting in every direction from the main entrance. In many ways it’s much more like a walk in a large arboretum or botanical garden/sculpture park than a cemetery, a beautiful place to spend some time strolling among the trees and myriad paths and walkways. 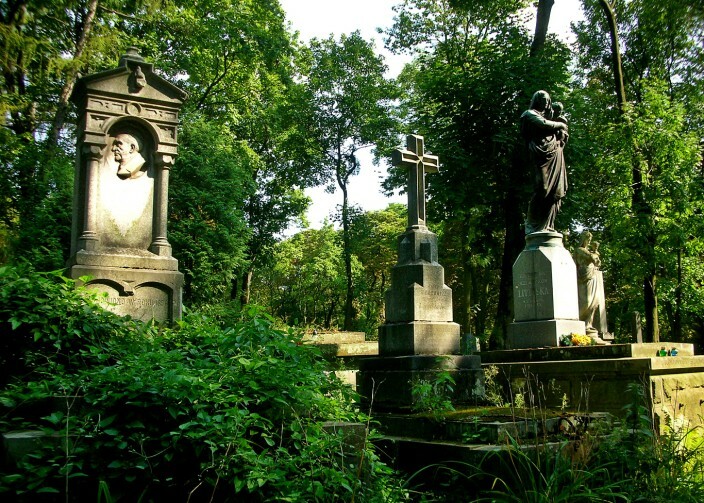 In fact, after doing this for several hours ourselves, we came away refreshed and imbued with a sense of being immersed in the complex history and culture of this region, with none of the gloomy, haunted graveyard atmosphere often associated with cemeteries. Or maybe it was just the fact we had a beautiful sunny day to do this. 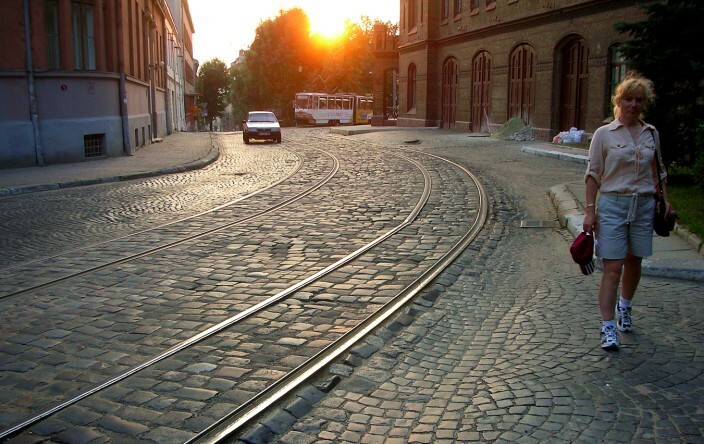 Either way, Lychakivskiy is a don’t miss destination if you’re ever in L’viv. 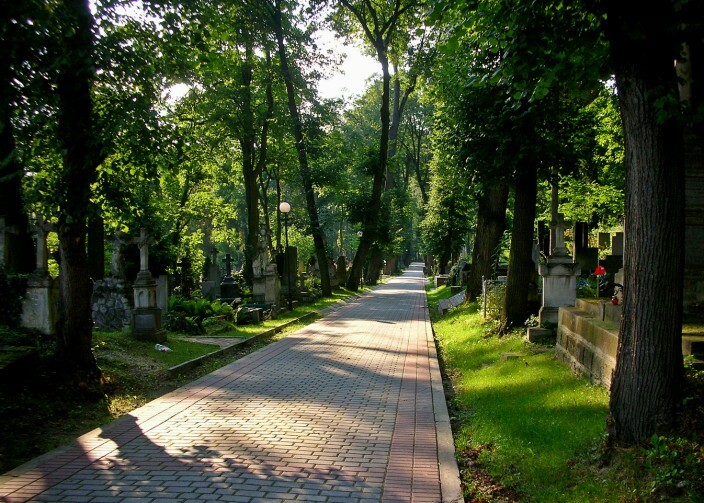 Another thing you’ll notice is how well tended Ukrainian cemeteries are wherever you go. In this part of the world they don’t just plant their dead and forget about them. Every spring brings a national Memorial Day, not only for the military dead, as in the U.S., but a remembrance day for everyone. Services are held in cemeteries where entire families attend and priests come to bless the graves. People make it a point to visit on a regular basis, usually bringing fresh flowers, and not only on the Memorial Day. I admire this aspect of Ukrainian culture, that they accept and embrace death as a natural part of the life cycle, that they honor the departed and their memory rather than simply sticking them in the ground and forgetting them. I find this a much healthier approach than that of many Americans who are so obsessed with youth and so terrified by the idea of death that they simply try to ignore the whole issue when in fact, like it or not, we will all end up there someday. Even though it may not make a dime’s worth of difference to the dearly departed, I find the notion comforting that someone might still be thinking fondly about me and visiting and tending my final resting place once in a while. 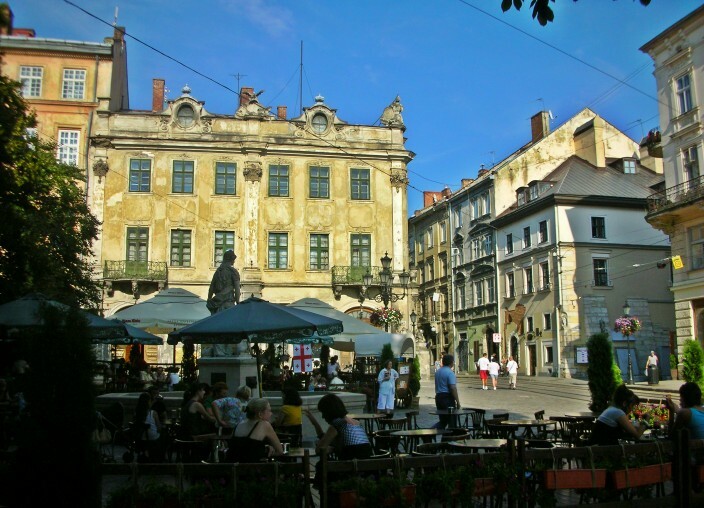 In June of 2012, Ukraine, along with Poland, will be co-hosting the Euro 2012 soccer championships, a quadrennial tournament second only to the World Cup in worldwide popularity and prestige. 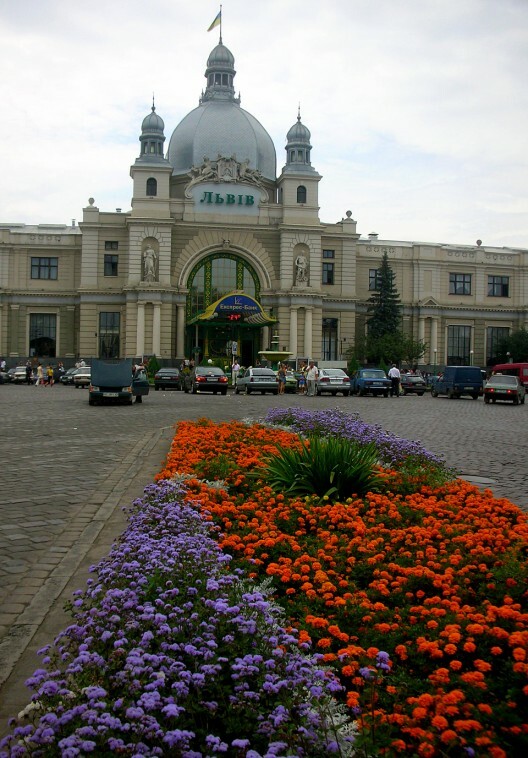 As part of this tournament, L’viv will be one of four Ukrainian cities hosting first round games, so they are expecting a huge influx of first time visitors and are busily upgrading infrastructure, including a new airport terminal and hotels, to accommodate. 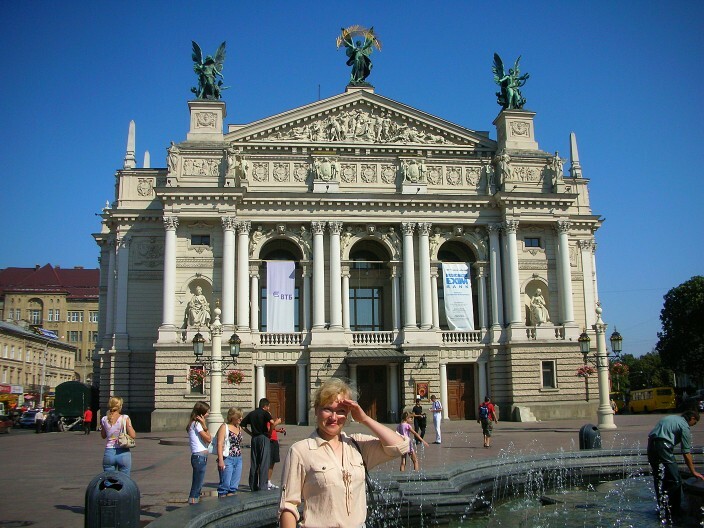 So whether you are going for the football or just to visit, if you’re ever in the west of Ukraine, I highly recommend spending at least a couple of days checking out the many sights and delights of L’viv, as charming a city as you will find in the entire country.